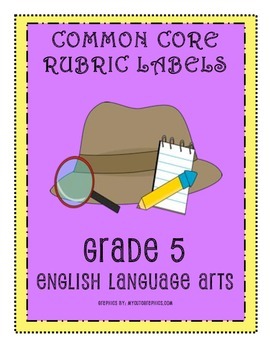 This document (zip file) contains 42 pages of Grade 5 Common Core ELA Rubrics. 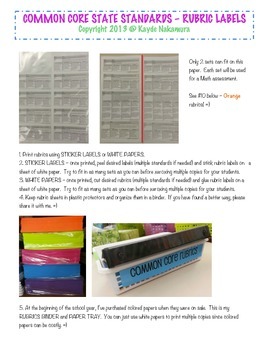 Each page will have 6-10 Common Core rubrics of a particular ELA standard. 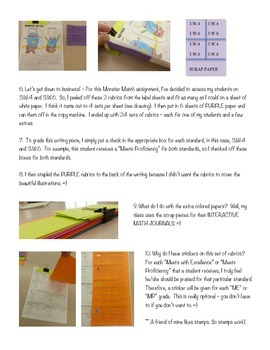 For example - Page 1 will have 10 rubrics for 5.RL.1. 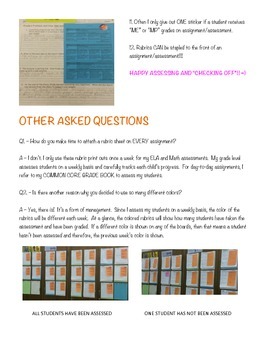 Page 2 will have 10 rubrics for 5.RL.2...and so on.